This amazing Custom Bellucci Zebrawood B&S Doubletop Concert Guitar was built for guitarist Jerry Funchion. It is simply put Breathtaking ! The sheer beauty of the amazingly striped Hauser Braced Zebrawood back and sides, coupled with a stunning set of Cedar for the top and using the most exquisite marquetry, brings to life what I consider a masterpiece of Epic proportions. Zebrawood generates a marvelous sound with well balanced deep bass and clear trebles. It is a dense wood that generates a unique set of harmonics and overtones comparable to African Walnut and African Blackwood. I could go on and on trying to convey the amazing sound she's capable to produce. 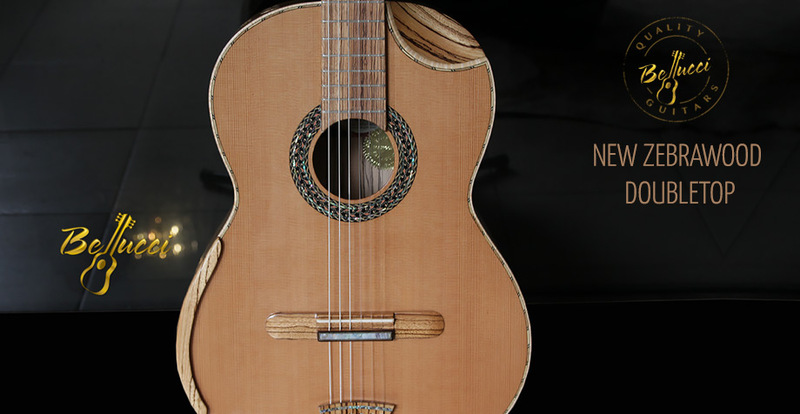 Specialized instrument and woodworking magazine asked me to use the pictures of this amazing guitar to illustrate the possibilities of Zebrawood. A glorious African Wood.